ORANGE COUNTY, CA. – December 11, 2013 - Premier veterinary hospital, VCA Mission Viejo Animal Hospital, is now offering pet nutrition consultations to help pet owners improve their pet’s health. “Pet nutrition is an important part of overall wellness and we want to help our clients increase their pet’s longevity,” says veterinarian and Medical Director Dr. Christine Priest. With an increasing number of FDA recalls on pet foods and treats, pet owners are seeking more guidance from their veterinarians regarding the best foods to feed their pets. As part of VCA Mission Viejo Animal Hospital’s commitment to their clients’ pets, the veterinary hospital has welcomed Susan Blake Davis, Certified Clinical Nutritionist to their staff. Because many cats and dogs develop health conditions requiring a special diet that the veterinarian prescribes, VCA Mission Viejo is offering pet nutrition services to help pet owners to better care for the special needs of these pets. While commercially prepared diets are available, some pet owners may prefer homemade alternatives as some pets may have more finicky appetites. 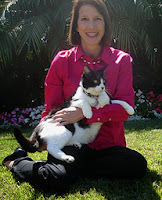 Susan Blake Davis, of ‘Ask Ariel, Your Pet Nutritionist,’ has extensive experience working with cats and dogs that have food intolerance and allergies resulting in Inflammatory Bowel Disease and other digestive problems. Cats and dogs with Inflammatory Bowel Disease (IBD) can have vomiting, diarrhea, weight loss and decreased appetites. “Eliminating potential food allergens from the diet can make a significant difference in a pet’s energy and quality of life,” says Davis. Davis works closely with pet owners to help them find new ways to pamper their cats and dogs with “safe” healthy foods that help the pets thrive and reduce digestive problems. 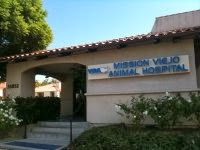 Beginning in January 2014, Davis will be available for pet nutrition consultations at VCA Mission Viejo Animal Hospital. To schedule an appointment, pet owners are encouraged to contact the hospital directly. VCA Mission Viejo Animal Hospital is a full service veterinary hospital offering primary and advanced care veterinary services, as well as boarding, grooming and dental services. The two veterinarians Dr. Christine Priest and Cheryl Wood, along with the friendly professional staff, are actively engaged with their patients, dedicating time and resources to ensure they receive the utmost in quality pet care. Denise Kahler, Hospital Manager at VCA Mission Viejo Animal Hospital (http://www.vcahospitals.com/mission-viejo), can be reached via phone at 949-582-1220. VCA Mission Viejo is located at 26852 Oso Parkway in Mission Viejo, California.